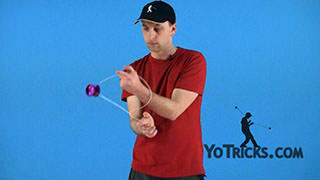 Learn how to do the yoyo trick Skin the Gerbil in Horizontal style. 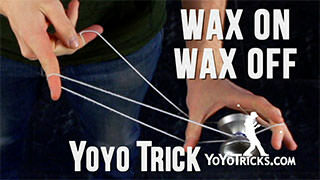 To do this trick, obviously the first thing that you need to do is you need to master the trick Skin the Gerbil. 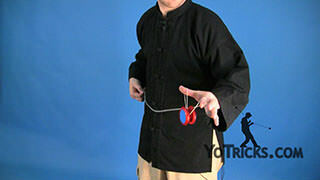 By master it, what I mean is, it is not enough to just know the steps and be able to execute those in order. 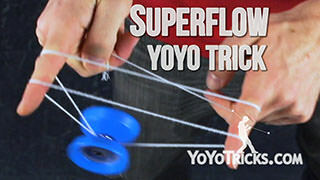 You really need to have mastered the trick in such a way that you can blow through them pretty much without thinking, and quickly. The reason for that is, when you do horizontal style yoyoing, the faster and more seamless you can do the tricks, the better it is going to work. 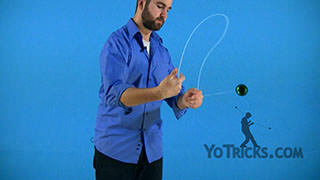 The second thing that you want to do is you want to make sure that you have watched our video on the basics of horizontal style yoyoing because some of the tips that we give in this video, they assume that you have watched that video and that you understood the mechanics of horizontal yoyoing as we described them there. 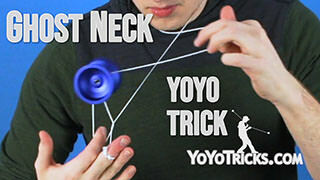 So it is a good idea to check that video out. 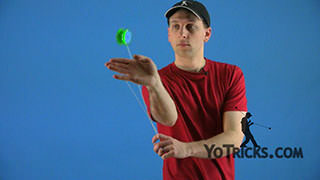 If you think about it, Skin the Gerbil is a really great first trick to learn for horizontal style play. 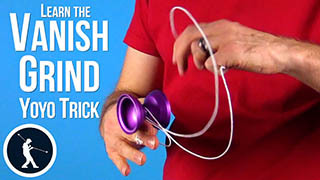 That is because it combines a whole bunch of different elements together. 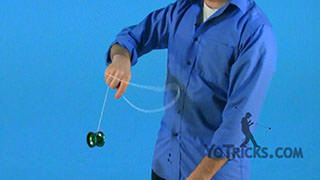 But if you notice, everything always stays perfectly in line with the groove of the yoyo. 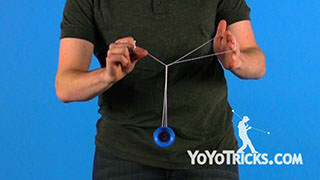 So the string is never pushing into the side of the yoyo at all. 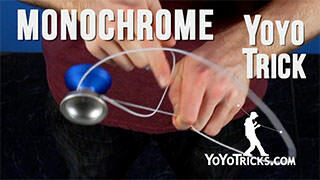 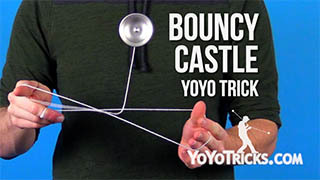 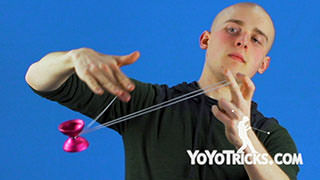 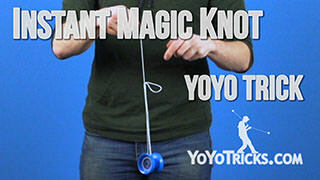 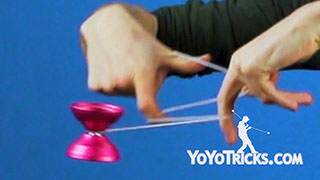 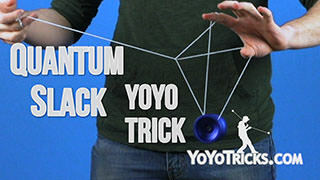 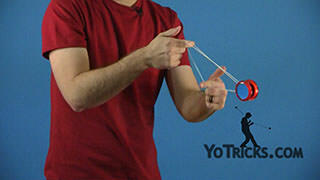 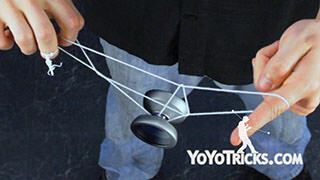 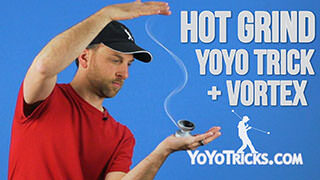 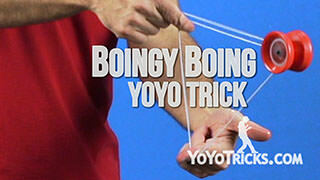 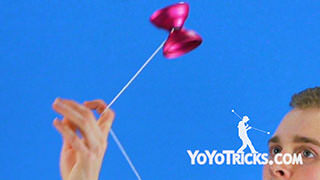 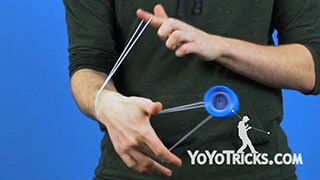 Once the yoyo gets onto the string, throughout the whole trick, it never leaves that initial mount. 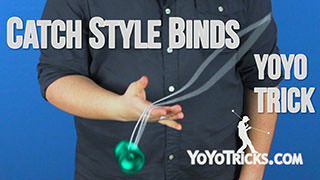 That just makes it a little bit easier when you are getting into horizontal style play. 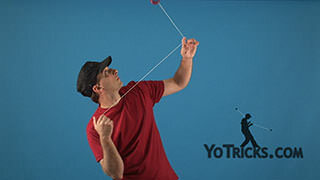 You are not really pushing the limits of what a yoyo can do in horizontal, but you are combining a whole lot of different skills into one trick. 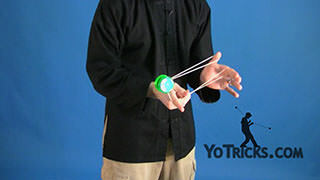 So it is very satisfying and it is a good place to get started. When you first get into the transition from Skin the Gerbil into horizontal Skin the Gerbil, there is one tweak that you are going to want to make to the trick. 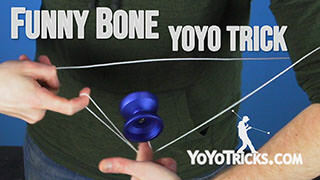 That is right at the beginning. 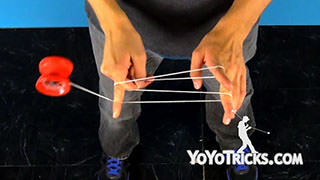 If you watched our video where we teach Skin the Gerbil, the first thing that we talk about is how you should do a Flip into the Double Trapeze. 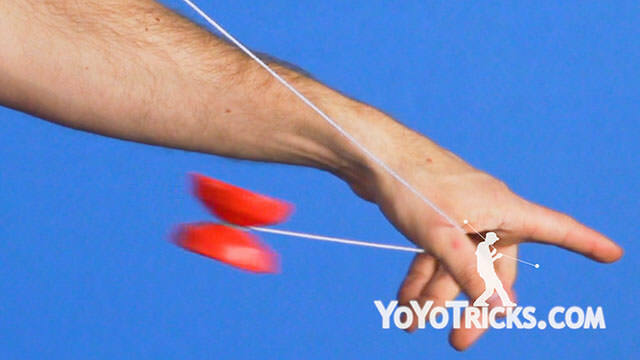 But if you want the trick to be as quick as possible, that flip will always kind of slow you down because you have to wait to get your hand over there to push the string around. 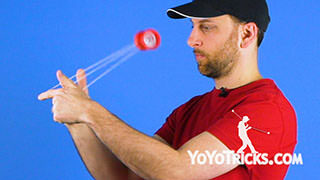 So what we would recommend is changing that flip to a Roll. 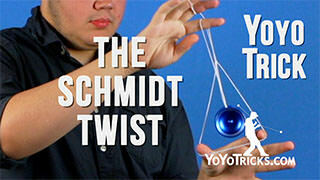 We talk about this in our Braintwister video. 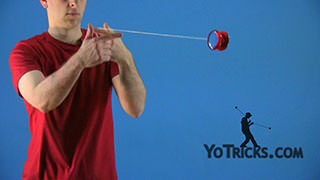 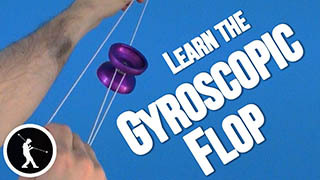 Basically, a roll is the same as a flip, except you do not push your hand into the string. 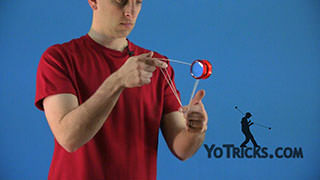 You just allow the yoyo to rotate around. 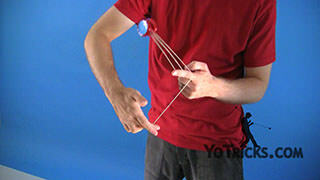 You point this hand forwards so that the string does not wrap around it. 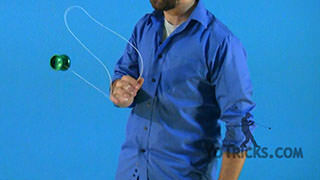 Watch what happens when you add that to the beginning of Skin the Gerbil. 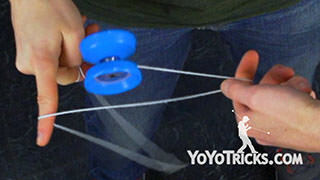 You can just go right into the roll and onto the double trapeze. 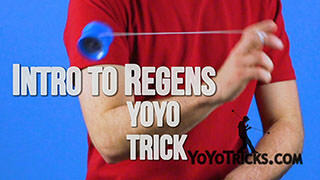 You can see that is so much faster and more seamless, which will allow you to get into the rest of the trick. 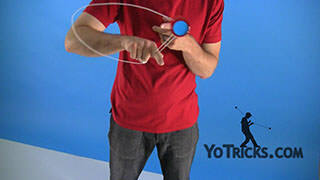 Once you have got that little change down, you are ready to start moving the trick up into a horizontal position. 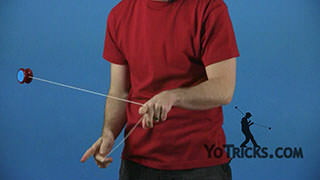 When you do this like we talked about in our basics video, it is a good idea to start just a little bit horizontal and slowly move your way up until you have reached your goal. 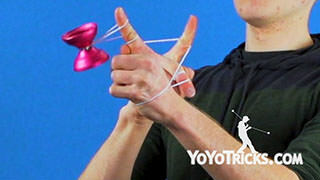 Look at what happens with my arms when I do that. 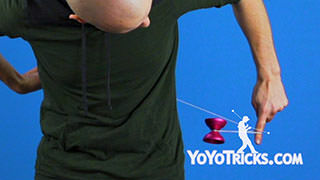 When I do normal Skin the Gerbil, you can see my elbows are right at my side and basically my arm is in a 90 degree angle. 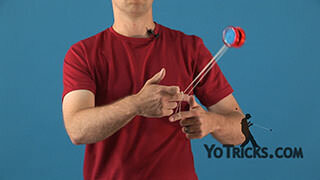 As you move your elbows up, you want to keep that 90 degree angle. 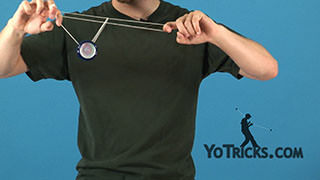 So you are not going to bend your elbows up like this, you are going to move at your shoulders so that it keeps that same position. 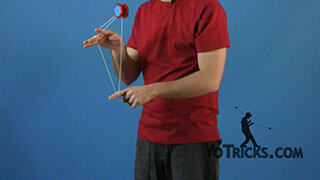 Then when you are right at the peak, your arms will almost be parallel to the ground, but not quite. 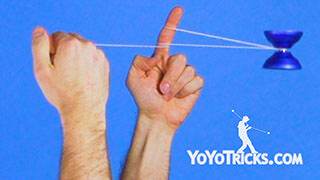 You might even need to tilt your hands up just a little bit so that they point straight up in the air. 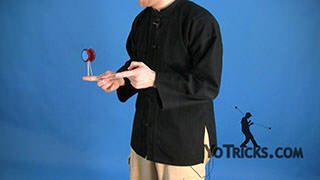 Ultimately, this is your goal, this is how horizontal you want the trick to be. 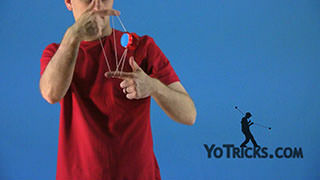 When you start moving the yoyo up into this horizontal position, chances are, even if you are doing the trick well and you are doing it fast, and you feel like you are doing everything right, the yoyo may start to do some things that you can not anticipate. So I want to help you solve some of those problems. 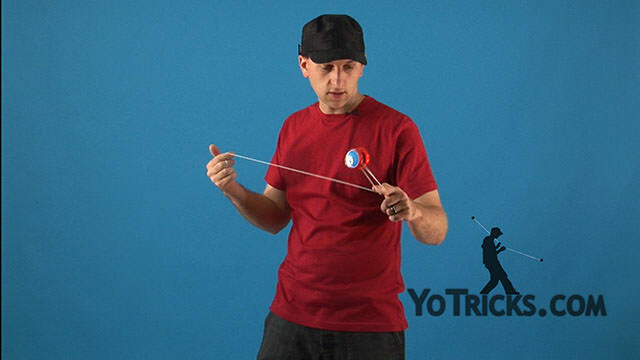 The first thing that may happen that can be really aggravating is the yoyo will start to lean in ways that you can not anticipate. 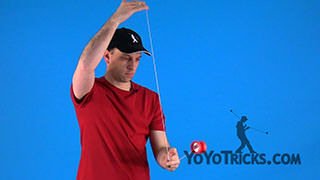 Sometimes the yoyo will become so horizontal that it will just fall right off the string. 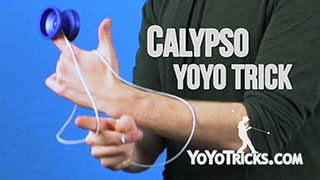 Other times, the opposite will happen. 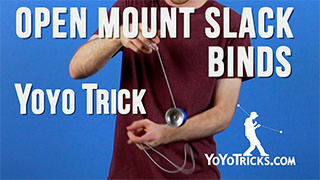 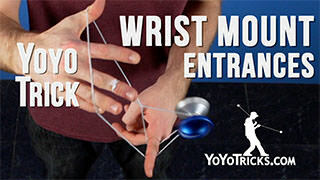 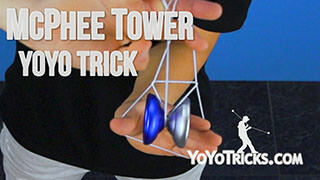 It will start to tilt and will perfectly right itself, so it is perfectly vertical, right in the middle of your trick. 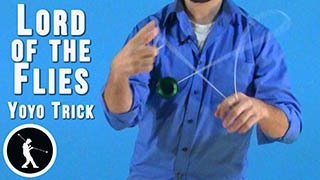 Actually, the cause of both of these problems is the same. 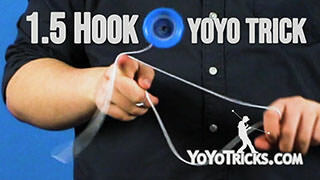 What is happening is that you are doing the trick in such a way that it is not perfectly lined up with the groove of the yoyo, particularly the angle that the yoyo is at, because it has started to turn on you, it has started to precess. 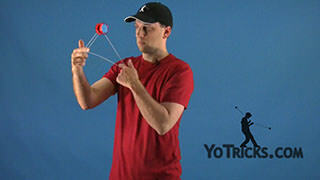 Again, we have talked about this in our horizontal basics video. 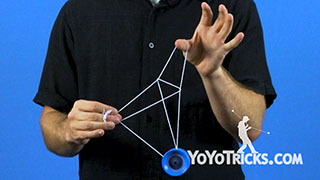 Let me illustrate how exactly this effects yoyo play, just in normal Skin the Gerbil. 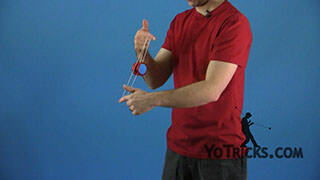 As we have already talked about in Skin the Gerbil, everything is perfectly lined up with the groove of the yoyo so that the string never touches the side of the yoyo. 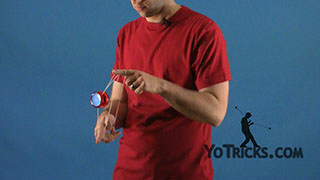 But look what happens if the yoyo just starts to turn a little bit. 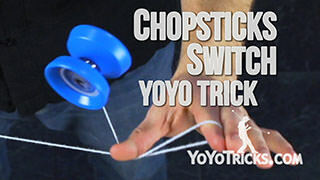 Imagine that I do the trick exactly the same, on the same plane I was on before, without compensating for how the yoyo is turned. 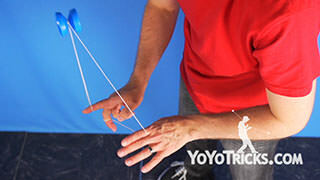 Look, I can still get the yoyo on the string, and I can still start to do the trick, but you can see immediately the yoyo started turning in a way that I could not anticipate. 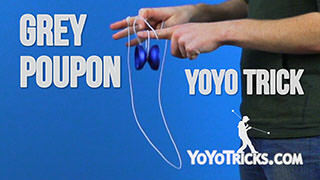 In this case, it really killed the spin of the yoyo. 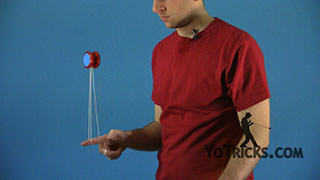 The same thing is happening when the yoyo is set up in a horizontal position. 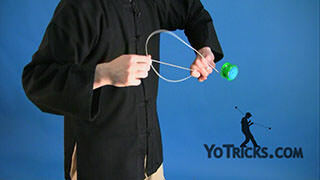 If the yoyo has started to turn, if it has started to precess, and you do not also compensate and turn with the yoyo, then it is going to start to lean in ways that you can not anticipate and the spin might die. 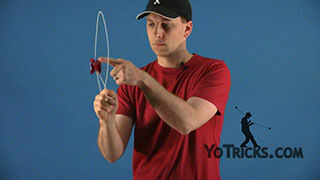 So, again, if you are just starting to learn the trick, this is something that you will find yourself doing, if the yoyo is going to turn and you do not want the spin to die, you are going to have to turn with the yoyo. 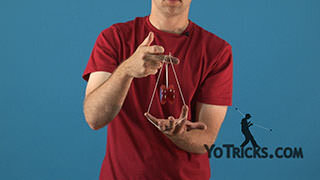 Now again, the better that you get at the trick, the faster that you execute the trick, the less that this is going to be a problem. 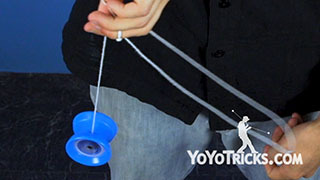 The second problem is if you are not doing the trick fast enough, then you do not have enough outward force to keep the yoyo on the plane that is in line with the groove of the yoyo. 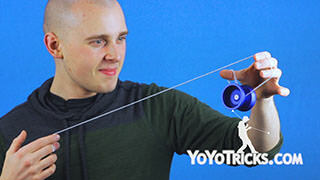 So the yoyo will start to be dragged down a little bit by gravity. 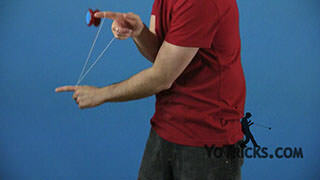 That will push the strings into the top of the yoyo. 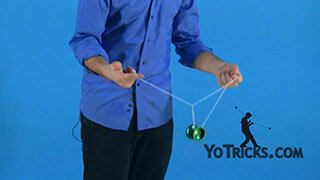 Again, that can cause the yoyo to twist and turn and lean a little bit, in ways that you can not quite anticipate. 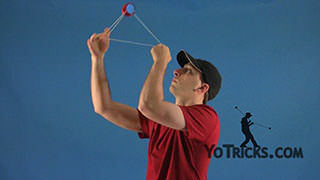 Again, for this one, the solution is simple, keep practicing, keep working on it, get your speed up, keep everything perfectly in line, and that will help you solve that problem as well. 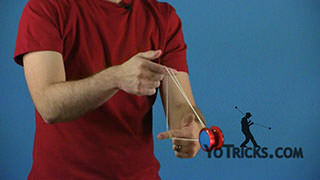 So hopefully this helps you master your first horizontal yoyo trick: Horizontal Skin the Gerbil. 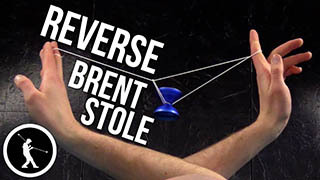 In this video, I am going to teach you how to do Skin the Gerbiley, Horizontal. 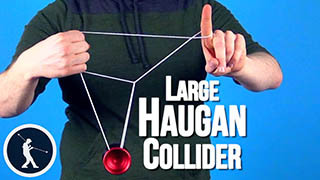 Hah, haa, haaha. 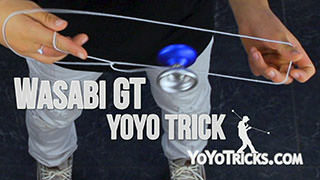 That is a good name for the trick, Skin the Gerbiley.